A POST TO CHANGE YOUR LIFE FOR THE BETTER! June 12, 2013 By Jack Jodell. As I write, the nation is absolutely abuzz with the implications of the latest National Security scandal, wherein it has been revealed that our government has willfully been collecting and storing utterly mammoth amounts of data on the personal lives and activities of every single American: our own individual phone numbers and those whom we have called; plus every single one of the emails we have sent over the past decade. They have accomplished this with the aid of the major telephone companies and internet providers. Political figures as diverse as Senators Rand Paul (R-KY) and Ron Wyden (D-OR) have reacted with apprehension and horror and have, in my estimation, correctly called this a massive overrreach and gigantic invasion of individual privacy. It appears that individual privacy is now a thing of the past. Regrettably, it appears that a majority of the country still agrees that maintaining security is more important than preserving individual freedom, according to a recent poll. But this blogger believes that, in its overreaction to the horrible 9/11 attacks nearly 12 YEARS AGO, our government and its intelligence agencies have gone completely overboard with their obsession over secrecy and in attempting to stop another possible terrorist attack here. The trial of Bradley Manning, the man who leaked large amounts of sensitive government communications to Wikipedia has finally begun (a full 3 years after he was placed into solitary confinement without having first been charged with a crime), and now a second person – a 29 year old American living in Hong Kong named Edward Snowden – has publicly admitted leaking other sensitive government documents. Such is the state of our nation today: its government so utterly obsessed with secrecy that now virtually NOBODY can enjoy ANY! Osama bin Laden is clearly celebrating the after-effects his directives have had on democratic government here in America! proved to be a most remarkable young man whose time was up far, far too early! For you see, Zach refused tp go out without a fight, and he began recording music to leave the world his lasting legacy. One of his compositions, “Clouds”, has shot to the top of the iTunes Downloads charts, meaning he has left each of us with a song of rare, simple beauty and an inspiring, fresh way to value life and courageously endure our own future impending deaths, whenever they may occur. The Sobiech family are all devout Catholics. John Lennon once wrote, “God is a voncept by which we measure our pain.” Pretty cerebral thought… I hope my agnostic and atheist friends will be able to understand the great benefits this family derived from their faith; the solace and strength it provided both them and their afflicted son Zach throughout his long, painful ordeal. I strongly urge you to take a few moments to click the following link and view the story of this amazing young teen, who teaches us both how to live and how to die with grace and dignity as well. Click on http://www.youtube.com/watch?v=9NjKgV65fpo . See his infectious smile coupled with his upbeat demeanor, and watch him interact with his loving family and friends as his last days approach. It is treasure before your eyes. This video has achieved an astonishing just-under 10 MILLION HITS so far and, at one poiut recently, was adding them at a record pace of almost 1 MILLION MORE each day! 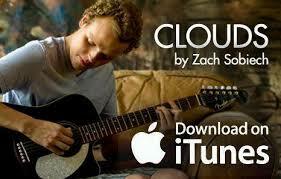 Afterward, take a brief listen to his wonderful song “Clouds”, by clicking on http://www.youtube.com/watch?v=sDC97j6lfyc . You will NOT be disappointed! You can download this song and his entire EP (called “Fix Me Up”, which he completed with his band A Firm Handshake) on iTunes or at Amazon.com. It also features vocals by his good friend and musical collaborator, the very talented young female vocalist, Sammy Brown. These videos are so powerful they have left me in tears each time I have viewed them, and, unless you have ice in your veins, I’m sure they will do the same for you, too. Zach Sobiech, I hereby salute you and your everlasting memory for having provided each of us with an inspiring way to inject joy into our lives, no matter how dire our circumstances may seem at any given moment! Despite the perplexities of our current global situation, you have given us renewed faith and hope for the future. You have blessed us with your unsight. Thank you for this, and may you rest in eternal peace and comfort! This entry was posted in Uncategorized and tagged A Firm Handshake, cancer, Clouds, Fix Me Up, National Security, osteosarcoma, Rand Paul, Ron Wyden, Sammy Browm, Zach Sobiech. Bookmark the permalink. 6 Responses to A POST TO CHANGE YOUR LIFE FOR THE BETTER! What a shame. 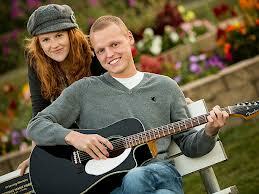 I’d heard about that young man and am now so sad to learn he has passed..I will look up his songs and listen. And probably weep. Rest in peace, Zach. Well said, Max’s Dad. Thank you! Computer is dying but I am doing what I can on my Smart Phone. I would love to be back on the radio show with you and Gwen, I think it is a perfect venue to get the word out. I’ll pass on my cell phone number to you so we may talk one on one. Thank you. The results are that “Working Middle Class” people die….just the cost of doing business….Right? When is the South going to wake up and realize they are just being exploited? To pass on some information for those who may not know, “Ammonium Nitrate” is what Tim McVeigh used when he blew up the Federal “FBI” Building in Oklahoma. Great points, Engineer, and we’ll look forward to speaking with you at 6 PM ET on Gwen’s Sunday “Here Be Monsters” show! Jack..we have not set a date.